OKAMURA SYLPHY Orthopaedic Office Chair Medium Blue. The Back Curve Adjustment equips Sylphy to accommodate any body type. 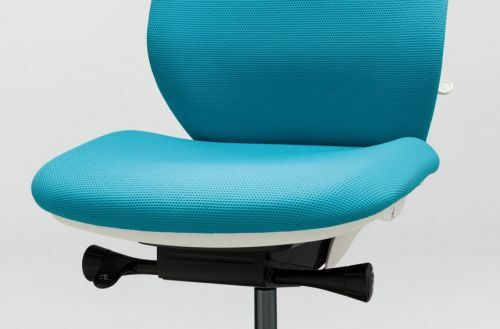 By pulling down the levers on both sides of the seat back, the curve becomes gentler to fit those with a large build. Pulling the levers up creates a narrow curve to fit those of smaller stature. 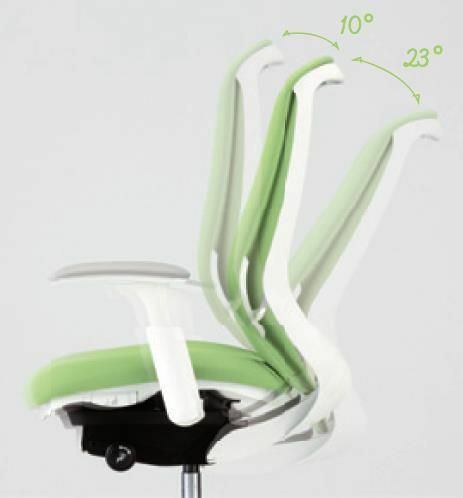 Synchro-Reclining function enabling the chair backrest and seat to be synchronized by operating the lever located at the bottom of the seat. Adjust the height of the seat by pulling up the lever under the seat on the right (stroke: 130mm). The dial under the seat on the left allows you to lock Sylphy in recline of up to 23°. 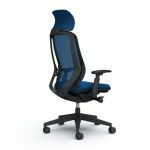 The back support and seat recline together, offering the standard upright and back-tilting positions. In addition, the chair offers a forward-tilting position - 10° that is convenient for using a PC or writing. The dial under the seat on the right allows you to precisely control recline resistance. The strength of resistance can be adjusted from maximum to minimum tension with just two full twists of the adjustment knob. Adjust the depth of the seat by operating the lever to the left of the seat (stroke: 50mm). 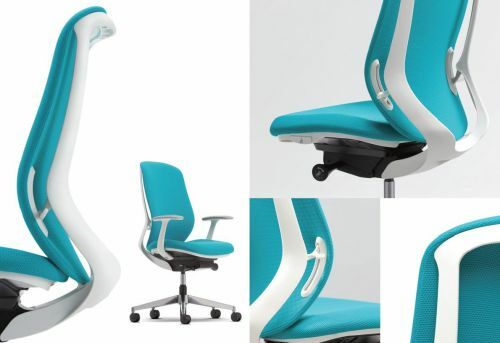 A curve that surrounds the hips provides a comfortable seating experience. 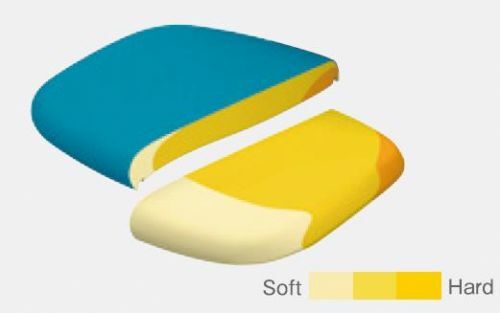 The Multi-density Cushion distributes body weight evenly to reduce pressure points and improves blood circulation for healthy sitting and superior comfort. 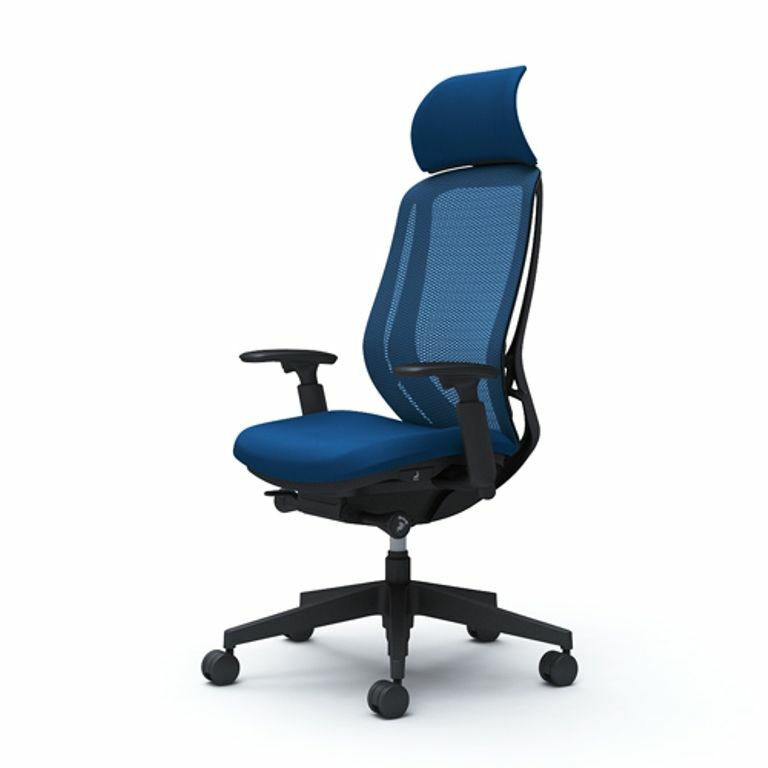 The seat cushion incorporates polyurethane with a consolidation of three different densities. A soft cushion that does not place pressure on the thighs is in front, with a hard cushion in the back to support the hips. 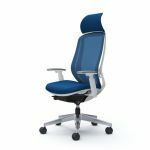 The arms of the chair are adjustable, and by pressing a button behind each elbow pad, you can adjust the arm height (stroke: 100mm), you can also move the arms forward or backward through a range of 50mm, or tilt them in or out at an angle of up to 20°. 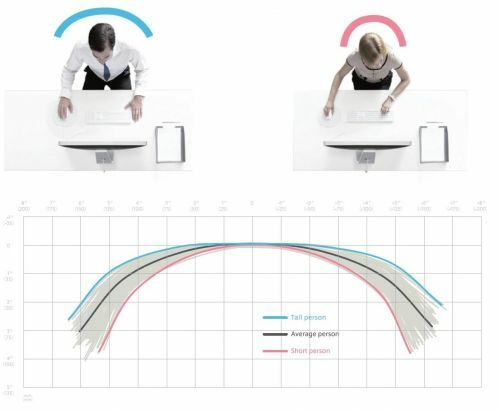 SYLPHY Frame has a slight flex, allowing the user to stretch and move while maintaining a healthy S-curve of the spine. For the cushion type, we devised an inner shell hole shape, and for the mesh type, the mesh frame was made as thin as possible while maintaining density. Both are designed to have changeable forms to find the best fit for the body. The wide-type large headrest gently supports the occipital region. Hard castors for carpet or Soft polyurethane casters for hard flooring. - Fabric Back / Fabric Seat. Mesh and Fabric are available in 8 color variations. An optional hanger is available to stylishly hang your jacket.